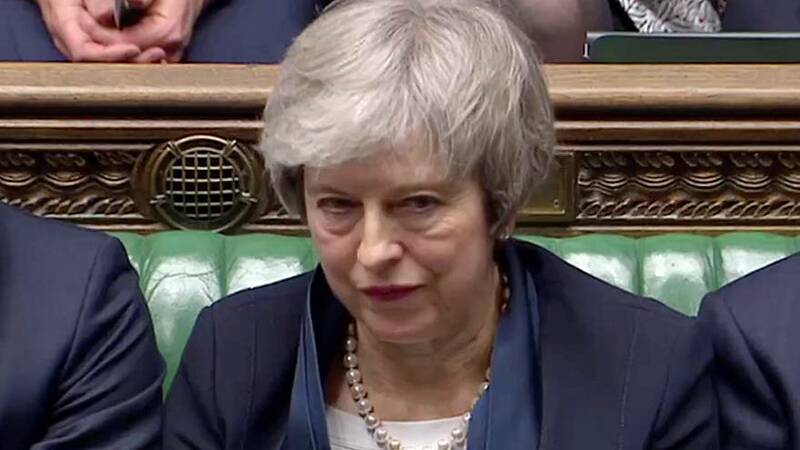 Theresa May's government suffered one of the UK's biggest parliamentary defeats ever as MPs rejected her Brexit deal with the EU. It was defeated by 432 votes to 202, with many of her own MPs turning against her and voting with the opposition. Labour leader Jeremy Corbyn immediately called for a vote of no confidence in the government, which will be heard on Wednesday. READ: What's been the reaction to Theresa May's Brexit deal defeat? The vote plunges the country into uncertainty with just two-and-a-half months before the UK is due to leave the EU. Unless a new agreement can be reached, the UK will depart with a hard Brexit on March 29. There are fears over a no-deal Brexit and its impact on business and the supply of imported goods. 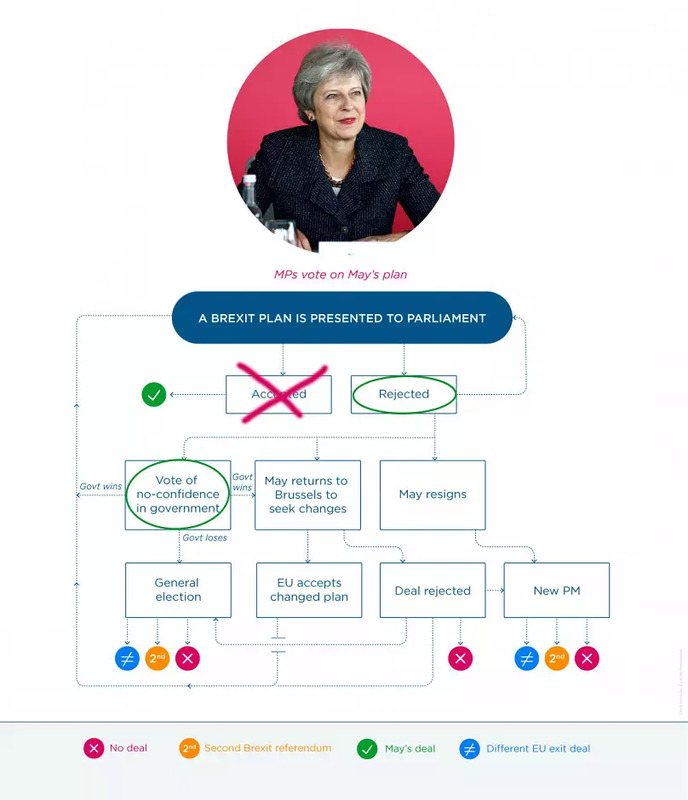 If she survives tomorrow's confidence vote, May will have to present a new proposal to parliament by Monday. The scale of the defeat will make it difficult for her to present anything similar to the deal so overwhelmingly rejected on Tuesday. EU Council President Donald Tusk tweeted that a deal seemed to be impossible and that no one wanted a no deal Brexit, asking: "Who will finally have the courage to say what the only positive solution is?" A number of MPs from different parties have called for another referendum to allow the British people to vote again on EU membership now that they have more detail on what a Brexit would look like. However, Theresa May has rejected this solution as a "betrayal" of voters in the original 2016 referendum. If Theresa May cannot either convince the EU or the UK parliament to change their minds on a deal there are only two options left: reversing the referendum result and remaining inside the EU or leaving without a deal. A no-deal Brexit would have two immediate impacts that would be felt on both sides of the English Channel and the Irish border. Trade would be disrupted as Britain would suddenly have left the EU customs union, meaning goods crossing the border would need to be checked. The government has been preparing for huge traffic queues and businesses have warned that they may struggle to secure imported goods. However, trade would still be regulated between the two partners as the UK remains a member of the World Trade Organisation which provides a framework for import and export deals. READ: How would UK-EU trade be affected by a ‘no deal’ Brexit? The second impact would be on citizens' rights. Britons abroad would rely on the forbearance of their host nations as many do not have permission to live and work in the EU once they cease to be citizens. Many countries have introduced legislation to address this. Theresa May has promised that EU nationals will be able to stay in the UK, although future arrivals will need to follow new immigration rules. READ: What would a no-deal Brexit mean for citizens’ rights? For a second referendum to take place, the UK would need to secure an extension from the EU allowing it to delay its leaving date until after the new vote. In addition to political considerations in the UK, this poses significant challenges for the EU, which will hold elections in May. Plans are already being implemented to redistribute the UK's MEPs to other countries.